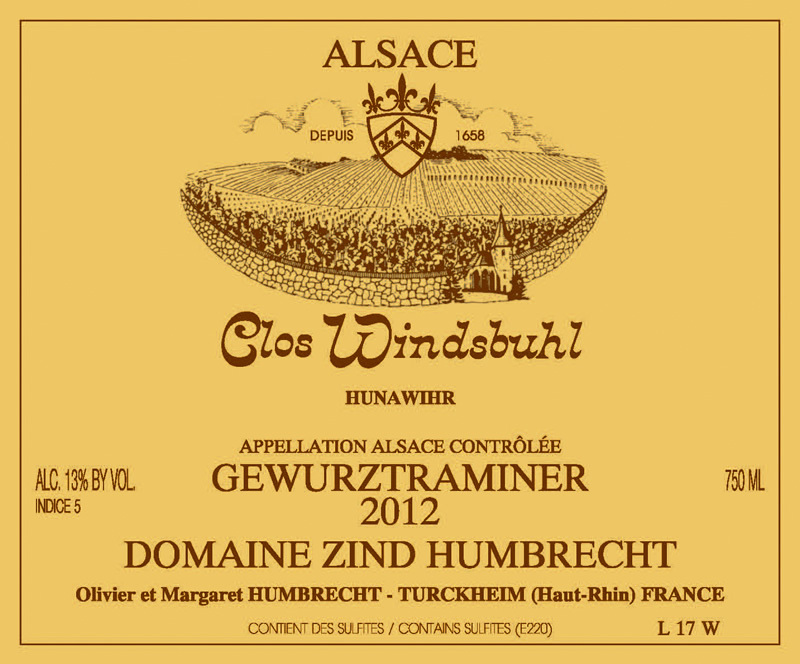 Due to its late ripening environment, the Gewurztraminer in the Clos Windsbuhl was the last one to change colour and start its maturation process. A very nice month of September allowed for perfect skin ripeness and slowly this vineyard was able to catch up, and even gain extra ripeness compared to many more precocious areas. The grapes were harvested with a small percentage of noble rot. The light rocky Muschelkalk limestone has the ability to favour late ripeness while preserving the acidity. Unlike the Pinot Gris of the same vineyard, the noble rot also develops less for Gewurztraminer. 2/2012: discreet nose a first, but develops very complex spicy mineral aromas with only hints of citrus fruit. After a long time in the glass, the wine will show its noble limestone origin. Clearly less extravagant but more profound, the palate hides superbly the sweetness and offers a salivating acidity and tannic structure. With no doubt this wine will age very gracefully. Like many Gewurztraminer in 2012, the sweetness is well hidden in the structure of the wine.